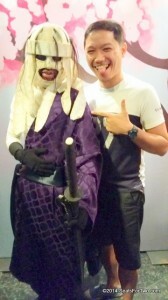 Upon the invitation of Animax, hubby and I watched the sequel “Rurouni Kenshin, Kyoto Inferno” at Greenbelt 3 Cinema 2. 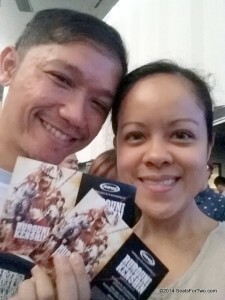 To be honest, I’m not really familiar with the movie yet hubby and I find it interesting. The movie started around 8pm but as early as 7pm, cinema lobby was full. 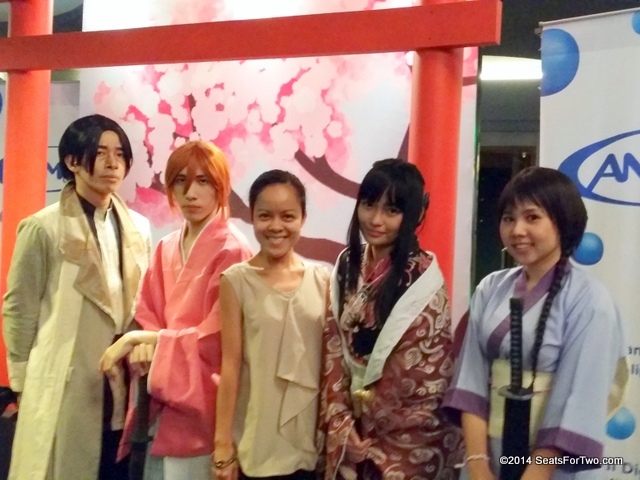 The crowd mostly composed of young adults, fans of Rurouni Kenshin. By now, many of you have probably read and watched the movie Rurouni Kenshin. A lot says they liked the movie and we certainly agree it was a great, action-packed and romantic film. It was my first time to watch a Japanese movie with English subtitles. Initially, I thought that I might not be able to enjoy it because I have to keep an eye and read the subtitles. But it was okay. Even if it was our first time to watch Rurouni and had no idea about the manga story and its characters, you can easily relate to the story and would be excited to the next episode. It was also a great night posing with the cosplayers. The first half of an epic finale, “Koyo Inferno” is still playing at your favorite theaters. Catch it while it’s showing and watch this heartwarming film. I’m looking forward to the “Legend Ends”. 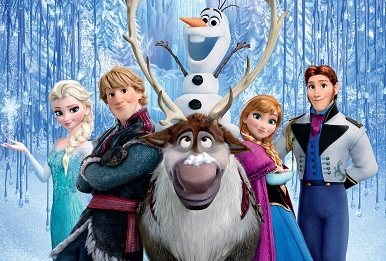 Thumbs up to this movie and the next one! 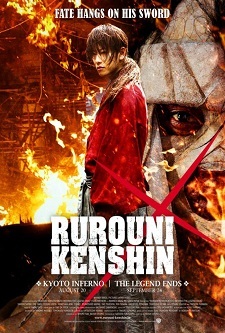 The blockbuster sequel, “Rurouni Kenshin: Kyoto Inferno” will be followed by “Rurouni Kenshin: The Legend Ends” on Sept. 24, 2014. Special thanks to Animax for inviting us to this special screening.